Some of us are born with thin lips. Others lose fullness as they get older. But plump, full lips don’t just have to be something you see when you go to an Angelina Jolie movie; you can have them, too. Dr. Jones uses a variety of techniques to enhance his patients’ lips. Dermal filler injections — Dermal fillers such as Restylane and Radiesse are very effective in adding definition and volume to the lips. Using a very fine needle, Dr. Jones injects these fillers into both the upper and lower lips. As the fillers are absorbed by the body, another session is necessary. 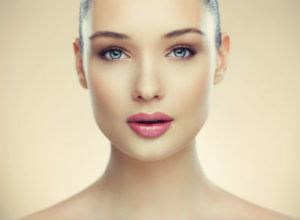 Fat injections — This type of lip enhancement has the added benefit of removing fat from another area of the body before it is injected into the lips to add volume. The harvested fat is purified and then re-injected. Collagen injections— Dr. Jones only uses human-derived collagen to avoid the adverse reactions caused by bovine collagen. Collagen is used in the same way that fat is injected. Grafts — Grafts are inserted through incisions made in the inside corners of the mouth. AlloDerm — In this procedure, a sheet of collagen material derived from humans is rolled and threaded along the full length of the lips to enhance them. The procedure needs to be repeated every six to 12 months. Dermal/fascia grafts — Body tissue from other areas can be grafted into the lips, as well. Skin, muscle, and collagen from the patient is used. This is a long-term option. Local flaps — In this technique, the lining inside the lips is incised and moved forward to add fullness. Do you wish you had fuller, plumper lips? Call Dr. Jones at 405.418.5400and let’s talk about your options.